Japan adopted the Hague Abduction Convention with effect from April 1, 2014. Before then, its reputation as a safe haven for international child abduction was almost universal. 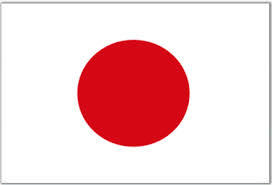 Japan yielded to international pressure by signing the Convention but its compliance with the treaty is questionable. A few cases have been initiated in Japan under the Convention. Unfortunately decisions in Hague cases in Japan are not being officially reported, are private and are not accessible. The U.S. State Department has reported that in 2015 there were no court-ordered returns of children from Japan, and that there were three voluntary returns. In one case, although a Japanese court ordered a child’s return to the United States, the order was not enforced. Custody orders in family law cases in Japan are unenforceable. It is regarded as beyond the function and responsibility of the State to interfere with the privacy of family life. Accordingly, the drafters of Japan’s Act for Implementation of the Convention on the Civil Aspects of International Child Abduction had to create enforcement processes for the first time in Japan. This explains in part why the Implementing Act is unusually long. Another extremely serious concern is that Article 28 of Japan’s Implementing Act expands the scope of the Article 13(b) exception in several significant respects. Although the Convention provides that “grave risk” is not an absolute defense, but merely provides a court with a right, in the exercise of the court’s discretion, to choose not to return the child to its habitual residence, the Japanese law eliminates that discretion. i. The first such circumstance is that courts are directed to consider whether there is “a risk” (but not a grave risk) that the child would be subject to “violence” if returned to the state of habitual residence, and defines violence to include “words” as well as “deeds” and “physical or psychological harm.” This emphasis on mere risk directly contradicts the treaty language. ii. The second circumstance is if there is “a risk” that the taking parent “would be subject to violence etc. by the petitioner” in the state of habitual residence. However, the language of the Convention limits the scope of the grave risk exception to a risk to the child, not to a parent of the child. iii. The third special element that a Japanese court must consider in a Hague case is, “Whether or not there are circumstances that make it difficult for the petitioner or the respondent to provide care for the child in the state of habitual residence.” However, this “circumstance” is entirely beyond the scope of the Convention. Finally, I understand that all access cases are being submitted to the regular Family Courts pursuant to the regular procedures for custody cases and that the mediation that is required to be conducted in such cases is the regular mediation process rather than the expedited mediation that has been set up for Hague return cases. Unfortunately, mediation in family cases in Japan is generally, in my experience, extremely unhelpful, time-consuming and onerous for non-Japanese litigants. Accordingly, parents with access claims are generally extremely disappointed that their plight has not been improved. All in all, there is grave cause for concern. Jeremy D. Morley is an international family lawyer in New York who works with family lawyers throughout the United States and globally. He is the author of two leading treatises on international family law, International Family Law Practice and The Hague Abduction Convention. He frequently testifies as an expert witness on the child custody law and legal system of countries around the world, including India, Japan, China and Western Europe. He may be reached at jmorley@international-divorce.com.